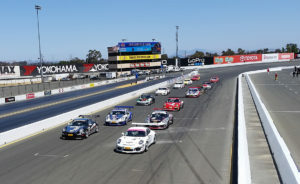 Sonoma, Calif. (3 July 2016) – Dino Crescentini took his second victory of the weekend from the pole position on Sunday, staying in front of incidents over the first two laps that scrambled the front of the Diamond, Platinum and Platinum Masters Classes in Race 10 of the Pirelli GT3 Cup Trophy USA at Sonoma Raceway. 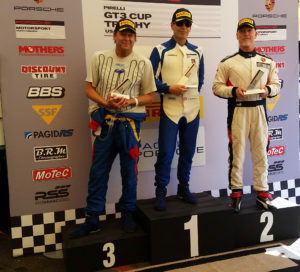 The incidents involved several cars, including Saturday’s third-place finisher Russell Ward, Annand Sharma, Ray Shahi and Mike McAlister. McAlister retired due to the damage incurred. Driving the No. 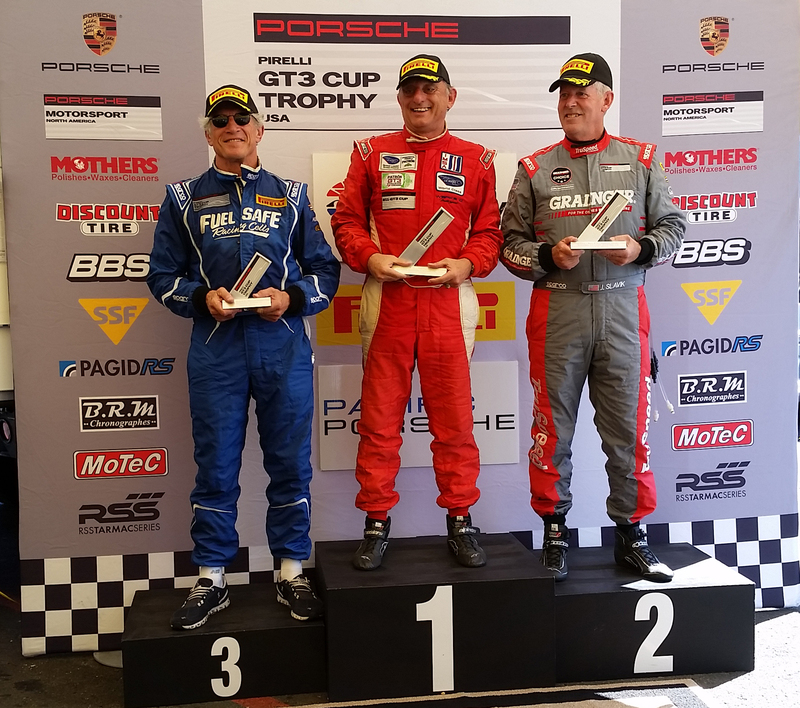 34 Crescentini Racing Porsche GT3 Cup Car, Crescentini took the Diamond Class pole position and race win in dominant fashion in the 35-minute event. Competition Motorsports Michael Zuiebeck and Kelly-Moss Road and Race’s Patrick Laughlin, battled throughout the race for second and third position. The father and son duo of Bryce and Russell Ward finished fourth and fifth, with the younger Ward recovering from a lap-one incident that put him in last position. 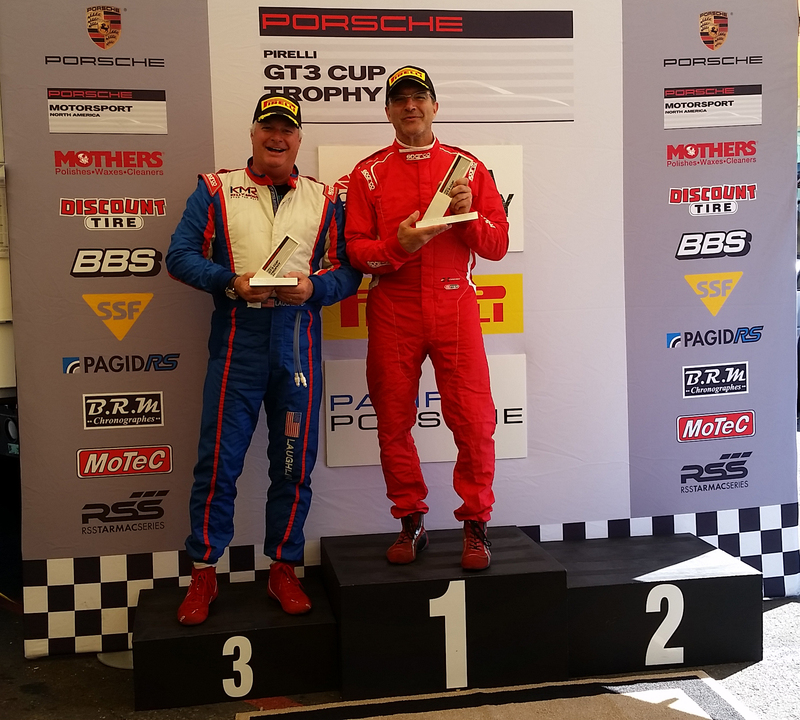 Crescentini was quick to attribute the win to the hard work by his son and the son of a friend, who work on the car. In racing, as in every area of life, communication is key. Tom Haacker, driving the No. 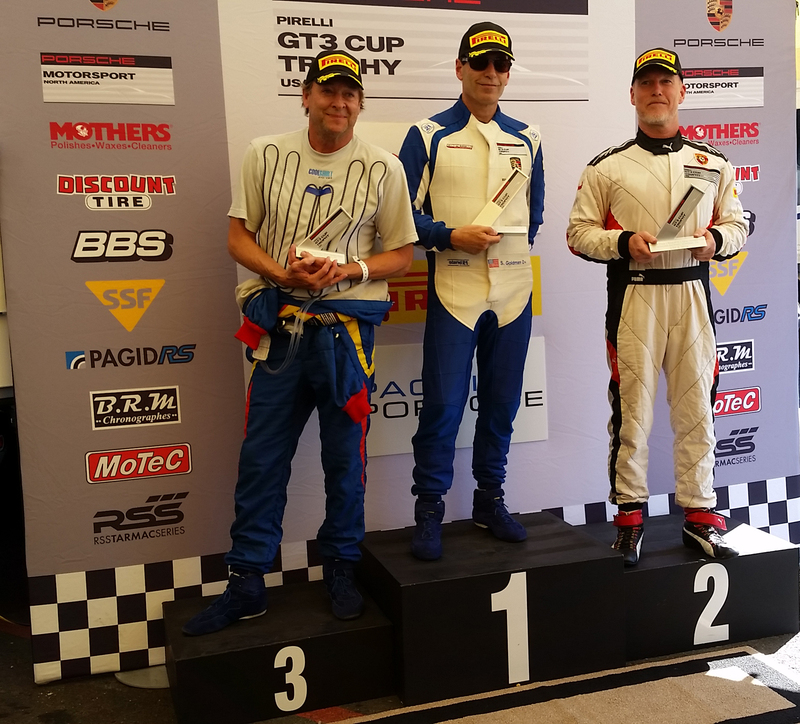 45 Mother’s/TruSpeed Porsche and starting fifth overall, took advantage of the lap one incidents to take second position overall and first in the Platinum Class. But Haacker was more concerned with Alex Kirby in his mirrors than trying to cross the gap to Crescentini, while Sharma recovered to take third. 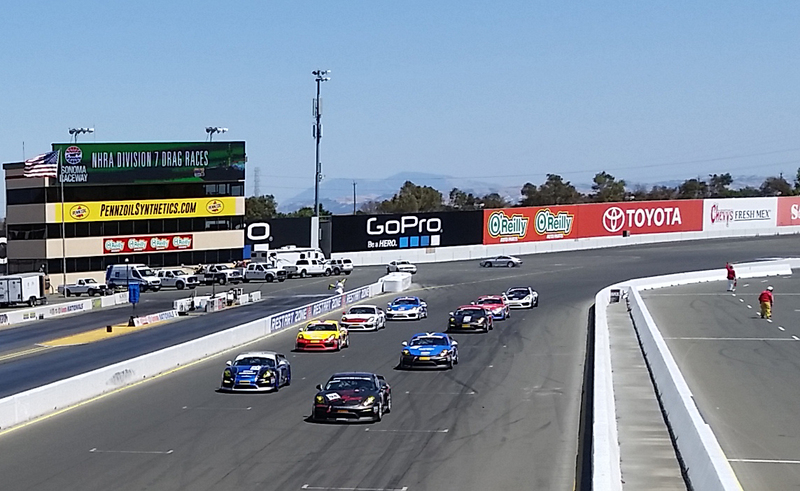 Ray Shahi was looking to earn his second Platinum Masters victory of the weekend, but an off-track excursion in Turn 6 and an alternator issue ended his day early. That opened the door for Robert Rodriguez, driving the No. 69 Werks2/P7 Racing Porsche. 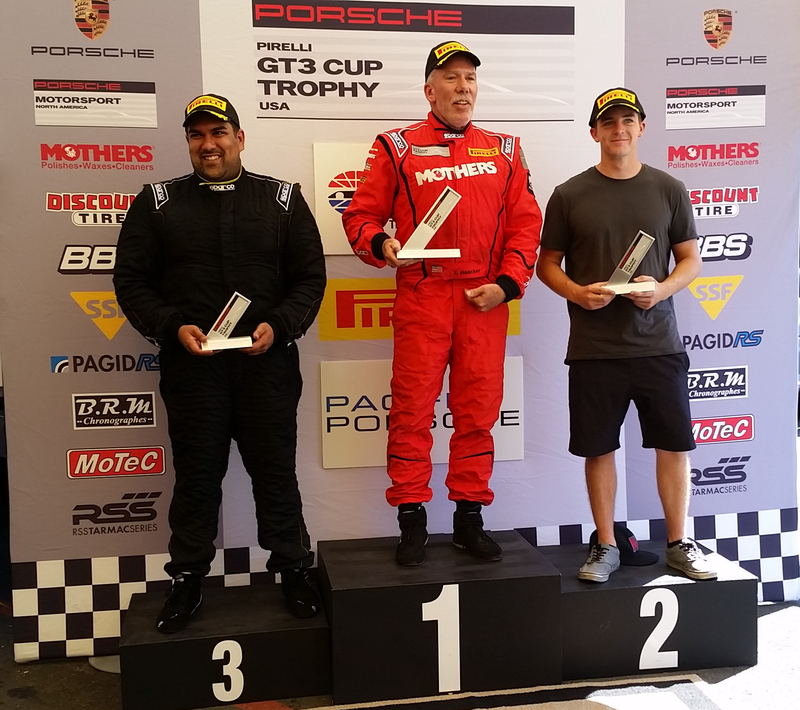 Rodriguez, who went out of Saturday’s race on lap one due to a blown shock on the right rear, held off Jim Slavik and Larry Schnur for the victory. Kevin Woods, in the No. 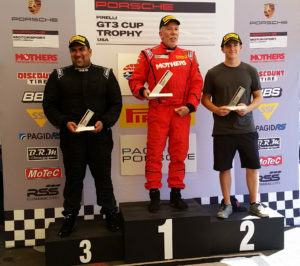 94 Porsche Cayman GT4 Cup Car for Los Gatos-based BR Racing, earned his second victory in the Silver Class, over Keith Jensen and Sean McAlister. 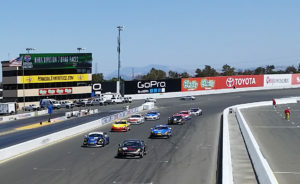 Woods, a Bay Area resident, was thrilled to complete the double at the two tracks he considers his “home” tracks: Mazda Raceway Laguna Seca and this weekend at Sonoma Raceway. 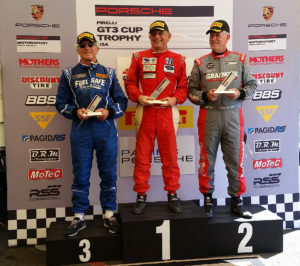 In the Silver Masters class, it was once again Competition Motorsports’ Steve Goldman at the top of the charts, earning his eighth victory of the season ahead of Thomas Mayerhoffer and Mike Sullivan. 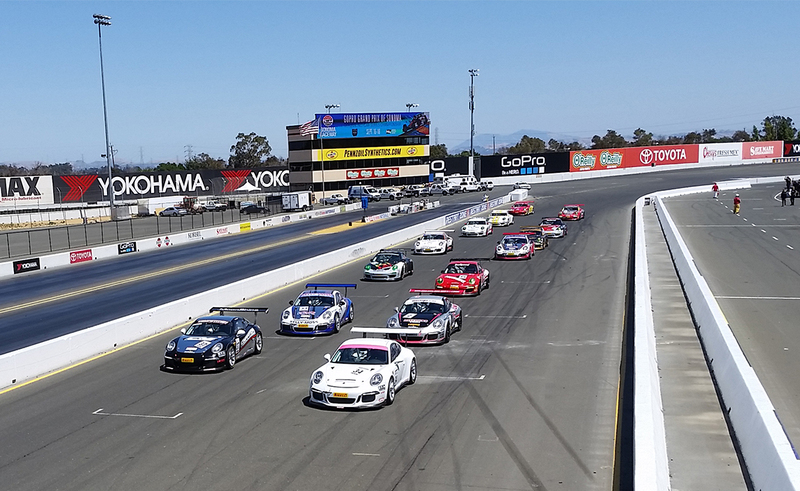 Pirelli GT3 Trophy USA President Greg Franz was thrilled with the outcome of the weekend’s races at Sonoma Raceway. The Pirelli GT3 Cup Trophy USA will be back in action August 12 – 14 when the series heads east for the Utah Supercar Grand Prix at Utah Motorsports Campus (formerly Miller Motorsports Park) in Grantsville, Utah. 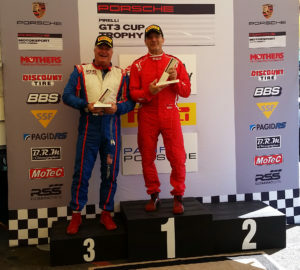 Live timing and scoring can be followed at: http://www.competentmotorsport.com/live-timing/. This entry was posted in News on July 3, 2016 by admin.